Add a piece to your home with classic detail and plenty of comfort. A vintage map print decorates the outside of this wing back accent chair. A thick, removable cushion offers a soft seat and nailhead trim gives the piece another hint of tradtional style. 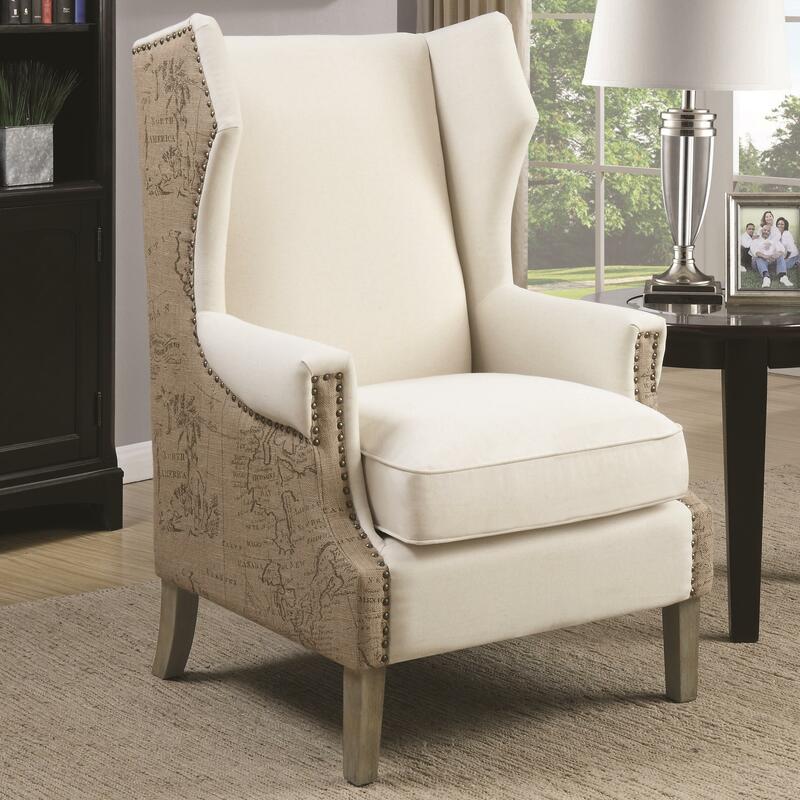 The Accent Seating Accent Chair with Wing Back Design and Map Print by Rooms Collection Two at Rooms Furniture in the Houston, Sugar Land, Katy, Missouri City, Texas area. Product availability may vary. Contact us for the most current availability on this product.